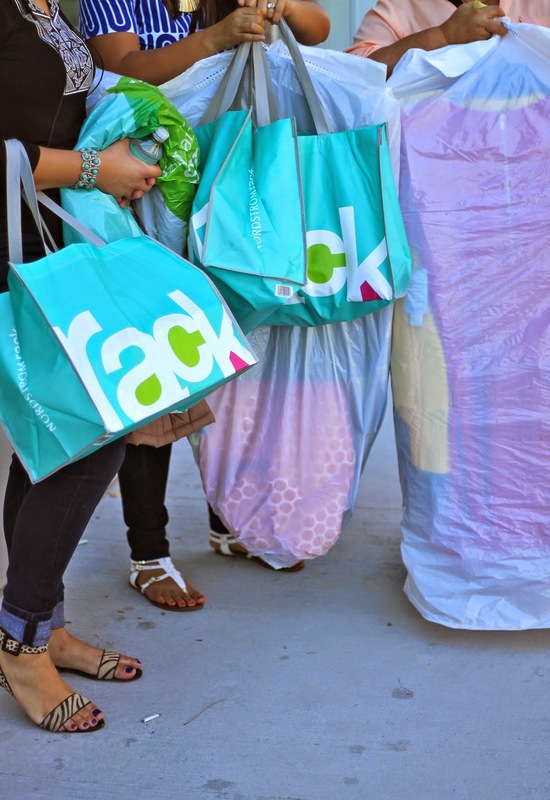 This past Saturday a few girlfriends and I had the pleasure of shopping the pre-opening of the South Loop Nordstrom Rack! Based on the pictures above you can see that we had no trouble scoring some pretty amazing deals. Kate Spade bag for just over $100, my husbands favorite Penguin shirts for $40, Cashmere sweater found in clearance for $38, and the coolest oxfords with amazing detail for under $100! 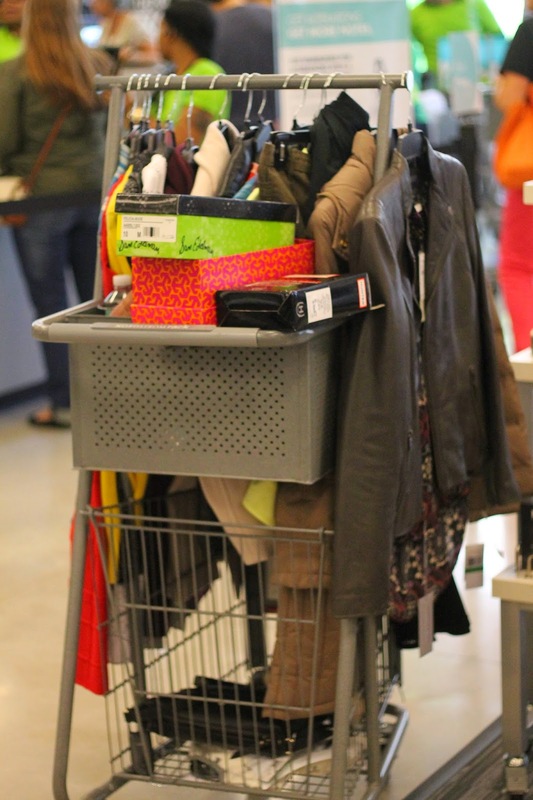 They even have these great rolling hanging rack carts with a basket on the bottom and in front to load up all your stuff. 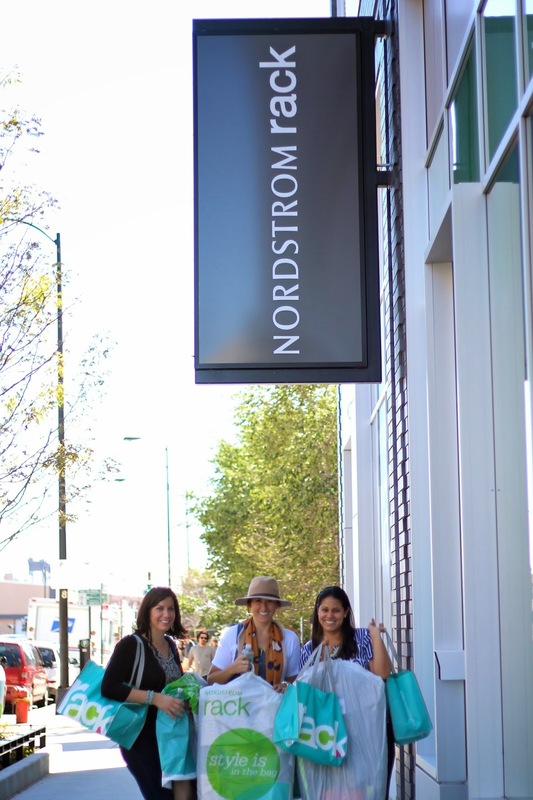 The South Loop store opens to the public on Today so get your Nordstrom cards ready! Happy Shopping! We did SOOO much damage! And about that Kate Spade, it's pretty great! There's a Nordstrom Rack so close to my house- it's dangerous! This one is walking distance from me as well! Eeeek! Danger is right! You got some great finds, I cant watch to check out the new store!! You for sure need to get over there! And there is a new TJ Maxx right next door!